Early on in my career I became confused as to why my school called our student early dismissal day as “teacher professional development day”. I hoped that it would be the day that I could learn additional methods as an inservice teacher. What I soon found out is that the day would never become professional development for inservice teachers, but a faculty meeting. Occasionally, there was an attempt by an administrator to offer reading, discussion, and a PowerPoint presentation on how we can move our students’ learning forward. While this type of approach is seen on campus, I began to see this approach off campus as well. This may very well continue, and so I found a recent blog post “6 Keys to Planning and Delivery Effective Professional Learning“. Offering professional learning/PD needs a growth mindset for those who wish to try the top-down approach, I think the assistance is helpful for teachers, and for those who wish to teach teachers. When I began my journey to clear my teaching credential by entering a BTSA program (induction for preliminary teaching credentials in California), I spoke to my BTSA coach about the problem. He told me that I needed to change my mindset about professional development, and that I would never receive proper PD on campus. Ultimately, I should seek proper PD off campus. Recently looking at the website of the Association for Supervision and Curriculum Development (ASCD), I came across a blog post that I wish I would have known about many years ago. “Going Beyond the Stitch Fix Approach to PD” is an excellent read for a teacher to understand the growth mindset as a classroom teacher. It makes me wonder why we look for the “top down” approach to professional development, and not the growth mindset approach that we as teachers will turn and ask our students to develop. After years of trying to find this unicorn of off-campus PD, I would luckily hear about the National Writing Project. There are a couple of programs offered at universities in Los Angeles, but I was encouraged by a colleague to apply for the Cal State Northridge Writing Project site. I applied and entered the Invitational Summer Institute directed by Dr. Kathy Rowlands. Regardless of grade level or subject matter, I cannot say enough about the Writing Project and the profound impact it creates for inservice teachers. I can only now encourage classroom teachers to find their professional development unicorn, and give the National Writing Project a chance to create that growth mindset. 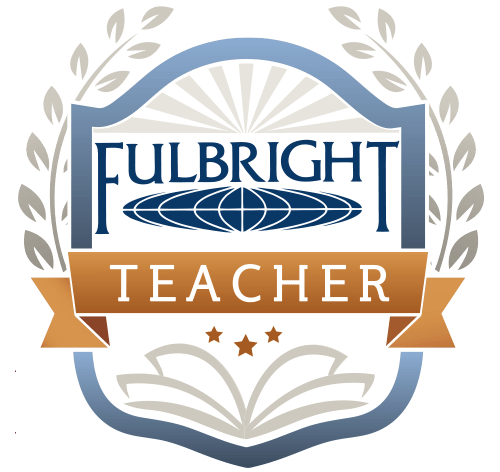 "All views and information presented herein are my own and do not represent the views of the Fulbright Program nor the U.S. Department of State."